Used Kenmore fridge (white). Approx 20 years old. Frost free design with flush install back. Adjustable shelves on door. No ice maker. 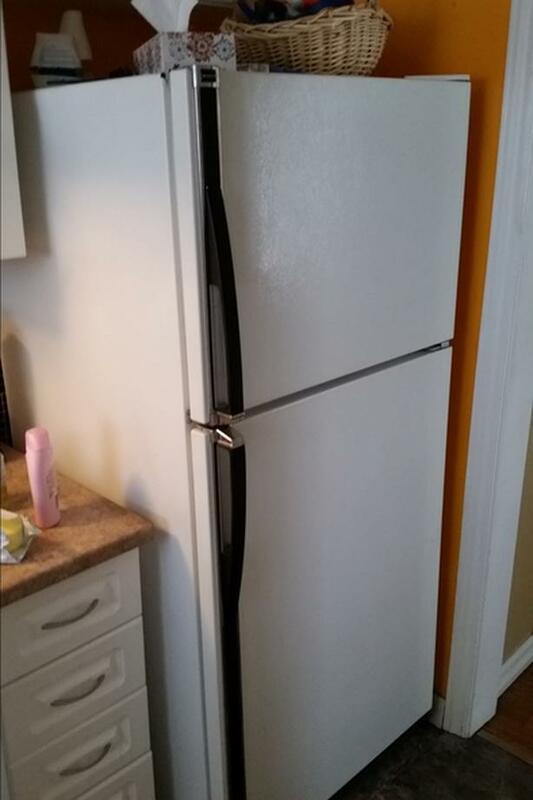 This fridge works perfectly and has no obvious dents or scratches. We replaced it with a brand new model with ice and water. I can deliver to the front door of any residential address in the city at no extra cost but price (CASH ONLY) is firm. I just don't have the room to store it and would like it gone asap.